My dad is one of the best handy men around! In Argentina he was a carpentry teacher and he makes all our furniture and sniffs about the house mending, enhancing and just generally improving - in that way dad's know how! 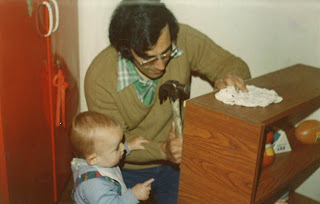 Some of my earliest memories are of him always tinkering with some piece of furniture - and mum would be at the ready with a treat when all the hard work was done! Nothing was easier than whipping up a few muffins for a nice afternoon coffee. Place the eggs, sugars and 100g of the crushed hazelnut in a bowl and mix well. 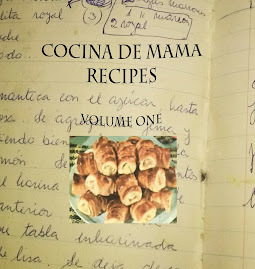 Place the carrots, lemon rind and finally the flour with salt and baking powder and mix through. Put in the chooped hazelnuts and mix through. Place in well lined muffin trays and bake for 15-20mins (or until cooked) in a pre-heated oven (180 degrees). You can eat as is - or if you like when they are warm out of the oven - sprinkle some shredded coconut over the top for a little extra flavour!